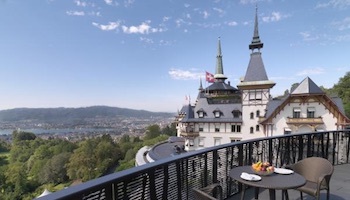 Switzerland’s largest city might be best known as a global financial center, but Zurich’s picturesque setting and cultural treasures have helped to establish the city as a vacation destination too. Striding the Limmat River, Zurich’s postcard-perfect backdrop is an expansive crystal-clear lake rimmed by snow-capped mountains. 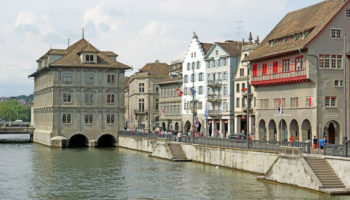 Clean, organized and easy to explore, Zurich has a lot to offer visitors, and with its superior public transportation system, the city makes a great base for excursions into the surrounding region as well. 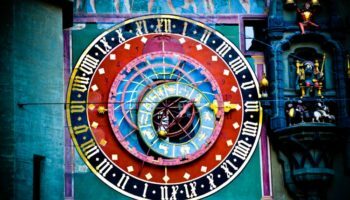 From towering mountain peaks to storybook Swiss villages, here are some of the most rewarding day trips from Zurich. Located in the Swiss Plateau mountain range and surrounded by three lakes, Mount Rigi has been a popular stop on the European grand tour since the 1800s. Offering some of the most beautiful views in all of Switzerland, the peak is rightly nicknamed the Queen of the Mountains. Traveling by cog railway, visitors can zip to the summit in less than 45 minutes from the villages of Vitznau and Arth-Goldau. Cable car transportation is available near the community of Weggis that takes visitors close to the summit as well. The views from each approach offer unique vistas of the lakes below. 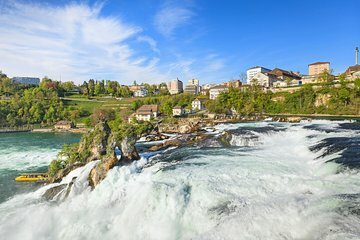 Easily reached by bus, rail or boat from Zurich, the Rheinfall is one of the largest and most famous waterfalls in Europe. It’s the broad width of the falls and the heavy spray of water that it generates that most attract visitors. Located between the communities of Neuhausen am Rheinfall and Laufen-Uhwiesen, the Rhine Falls can be experienced from several viewing platforms on both sides of the river. Boat rides offer adventurous spectators up-close views at the falls and the Rheinfallfelsen, a mammoth rock that splits the falls in the center. The Laufen Castle, which has been converted into a restaurant, also offers a charming vista of the falls. Comprised of several summits, Mount Pilatus is situated between Lake Lucerne, Lake Zug and Lake Lauerz in central Switzerland. 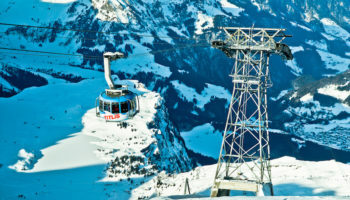 Thanks to several cogwheel railways, cable cars and gondolas, ascending to the mountain’s peak is an excursion that every visitor can undertake and enjoy. Departing from the town of Alpnachstad, the world’s steepest cog rail offers the fastest and most direct route. A series of cable cars and gondolas operate out of the Lucerne suburb of Kriens. Hardy travelers can hike to the top in around four hours. A surprisingly flat trail at the summit is perfect for taking in the spectacular views. 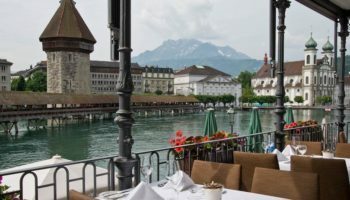 A short drive south of Zurich lands visitors in lovely Lucerne, a place that fits the idea of an idyllic Swiss town to perfection. 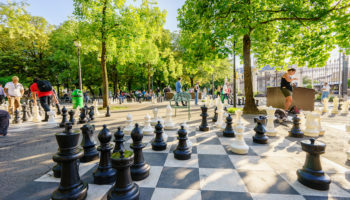 With its cobblestone streets, 14-century city walls and medieval Old Town quarter, this lost-in-time destination never fails to enchant visitors. Whether it’s a concert at the city’s performing arts center, Kongress Zentrum, or a folkloric show featuring yodeling, alphorns and cowbells, Lucerne knows how to keep its many visitors engaged and entertained. 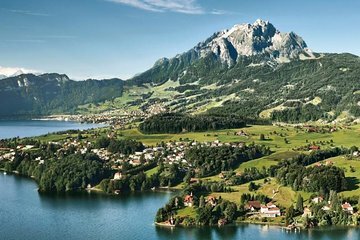 Surrounded by mountains, the city where William Tell is said to have shot the apple off his son’s head is also a favorite base for excursions to Mount Rigi and Mount Pilatus. The Jungfraujoch is a col in the Bernese Alps accessible by railway, ending at Europe’s highest mountain station. 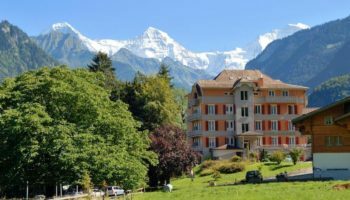 Highlights include views of spectacular mountain summits like the Eiger, Monch, and Jungfrau, and views of the large Eiger Glacier that nestles below them. The Sphinx observatory, one of the highest astronomical sighting stations in the world, is located here as well. Views are endless and pristine, though amenities are small with just a handful of restaurants. It’s a very long train ride from Zurich, taking about 4.5 hours, but the experience is unforgettable. Less than two hours away by train from Zurich, the tiny country of Liechtenstein is a bucket-list destination for many travelers. 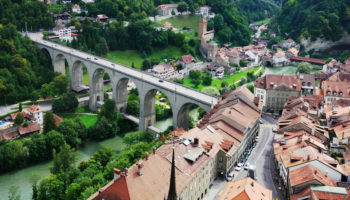 Ruled by a constitutional monarchy, land-locked Liechtenstein is the sixth-smallest country in Europe, but it’s big on natural attractions. Those on a day trip from Zurich are likely to be more impressed by the beauty of the surrounding countryside than by the capital city Vaduz, although the boldly designed contemporary art museum is well worth a visit. The royal family’s castle in Vaduz is off limits to visitors most of the year, but the pretty hilltop Gutenberg Castle in the village of Balzers is open for exploration. 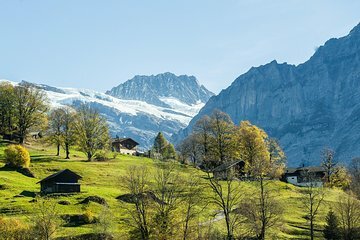 A one-and-a-half hour drive south from Zurich brings sightseers to the small resort town of Engelberg, the ideal departure point for any visitor who wants to enjoy views of central Switzerland from the highest vantage point. Standing 10,623 feet (3,238 meters) above sea level, the summit is always covered in snow. It takes a series of rides on three cable cars and a funicular to reach the top where passengers are rewarded with unparalleled views. There’s also a four-story complex at the summit that includes restaurants, shops and an ice-grotto bar. A glacier trail at the peak leads visitors into an illuminated ice cave. 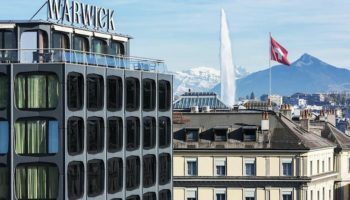 will there be snow falling in either geneva or zurich from july to august of 2017? tnx.